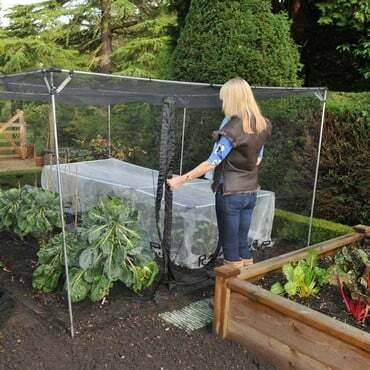 The bigger brother of our 1.2m high aluminium vegetable cage, this Harrod Slot & Lock® Aluminium Vegetable Cage (1.5m H) provides your vegetables with an additional 30cm of growing height and really opens up your kitchen garden and vegetable plot growing options; in fact, the extra height could even accommodate fruit bushes. The bigger brother of our 1.2m high aluminium vegetable cage, this Harrod Slot & Lock® Aluminium Vegetable Cage (1.5m H) provides your vegetables with an additional 30cm of growing height and really opens up your kitchen garden and vegetable plot growing options; in fact, the extra height could even accommodate fruit bushes! 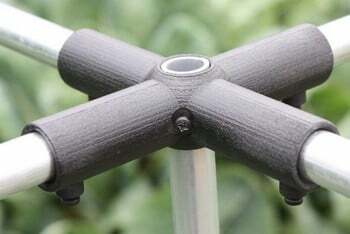 A winning combination of our durable and reusable matt black nylon Harrod Slot & Lock® connectors, tough 16mm diameter aluminium uprights and top rods and 7mm square mesh butterfly netting, designed to keep butterflies out but allow pollinating insects in, provides the cornerstone for the aluminium vegetable cages’s success. 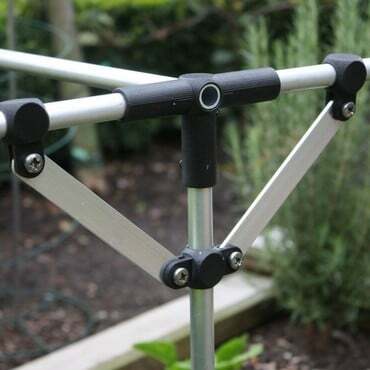 You'll find the aluminium framework is simple and very quick to assemble, can be taken down in the blink of an eye and takes up little room when storing - and being aluminium, the tubing will not rust. The Slot & Lock connectors simply push onto the 1.2mm gauge aluminium tubing framework and are securely held in place by tightening the stainless steel screws, allowing the cage configuration to be easily changed. All cages up to 3m x 3m are supplied with a fitted net, larger cages are supplied with a netting pack that may be larger than required, but can be trimmed if there is too much excess netting. 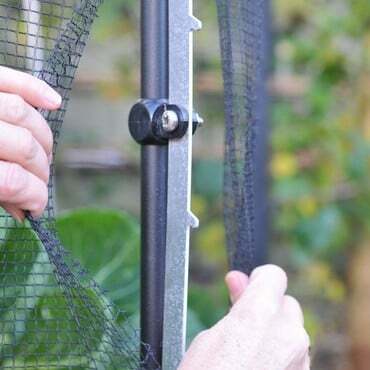 Extending your aluminium vegetable cage is simple as well as all the aluminium tubing components, netting, pegs and Slot & Lock connectors are available separately – we’ve even got Slot & Lock brace kits to give your vegetable cage extra rigidity in windy and exposed locations and in light soil. 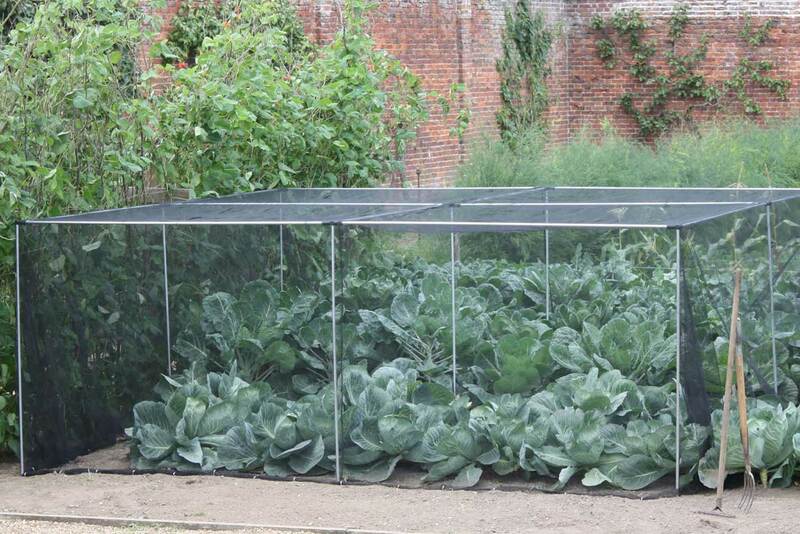 The Aluminium Vegetable Cage (1.5m H) provides height and stability - vegetable growing heaven! 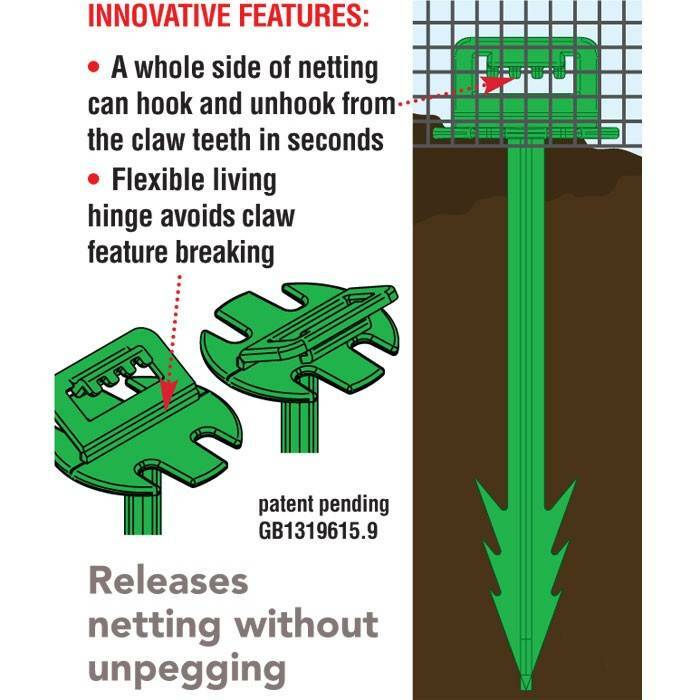 Please Note:- The Slot & Lock Cages can be modified by cutting the aluminium tubing - if you can't see the perfect size then buy a size larger and cut the tubing to fit. N.B. 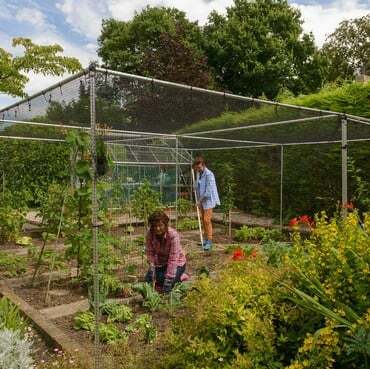 all cages up to 3m x 3m have fitted netting for easier access to beds. Easy to erect, although not sure about the plastic pegs as the netting doesn't seem to catch on - maybe I've done it wrong. 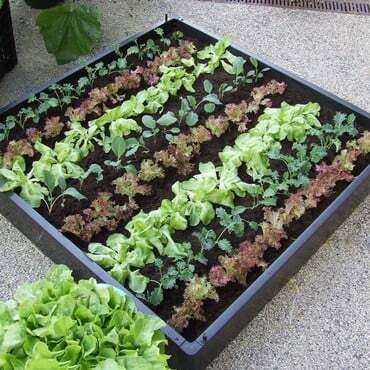 But I'll just use old fashioned metal ones. 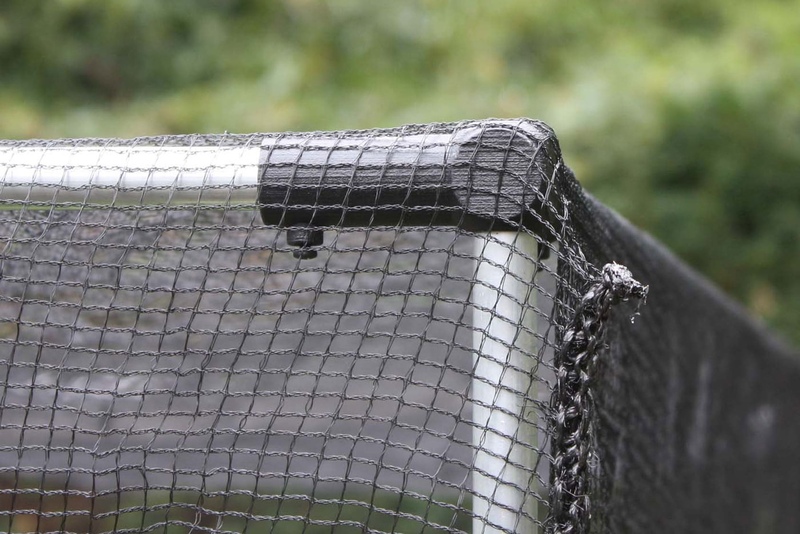 Lots of spare netting - don't mind that, always useful. Ordered on Friday after 12:00 and delivered to Perth at 10:00 on Saturday morning. 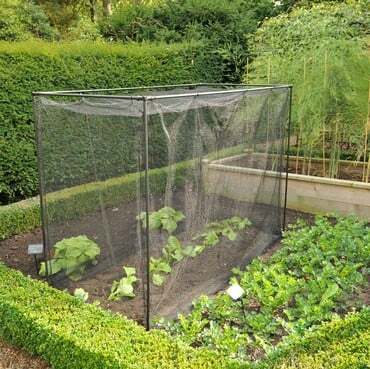 Assembled in less than 30 minutes and looking fabulous protecting our strawberries and blueberries from the birds which wiped out the entire crop last year. Very very easy to erect. Absolutely thrilled by the quality, the functionality and the looks. Highly recommended. 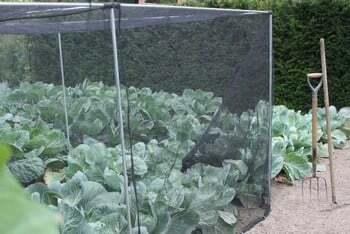 Excellent frame and netting to protect my brassicas from pigeons. Yes. All component parts - connectors, tubing, netting and pegs - can be purchased separately as listed on this page or from our catalogue. 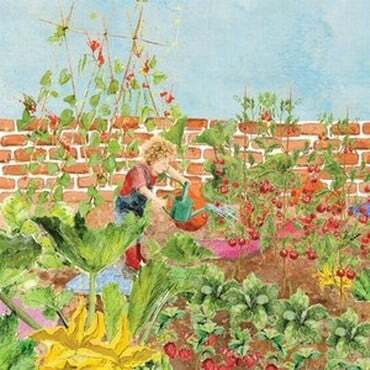 If you can't find what you are looking for, please contact our Customer Services Team or call them on 0333 400 6400. We also stock bracing which can be used to add rigidity to the structure, especially in exposed locations and in light soils. 4. Can I order a size that is not advertised on your website?